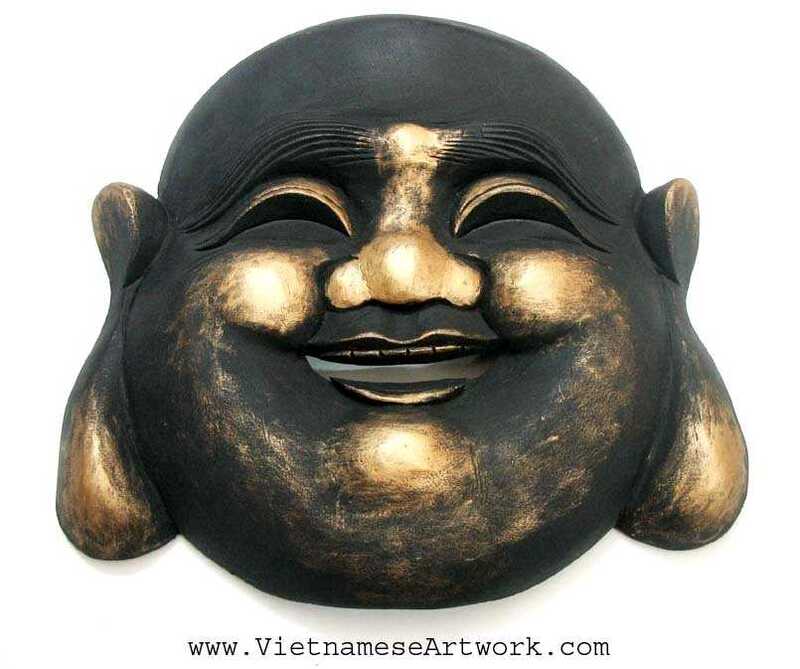 This mask is made following the famous laughing Buddha's face. The mask is made on real wood block, hand carved and stained. The mask represents happiness and generosity!